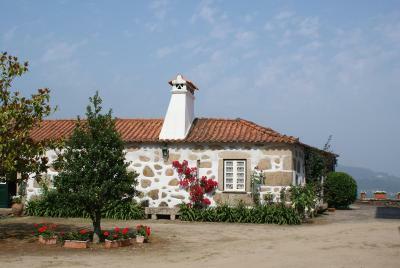 Lock in a great price for Casa das Torres da Facha - rated 9.1 by recent guests. The very friendly owner welcomed us with a drink. The beautifully located pool could be used at any time, even late at night. Breakfast was included and rich. The apartment with two bedrooms, a spacious kitchen and a terrace was perfect for our family with two teenagers. 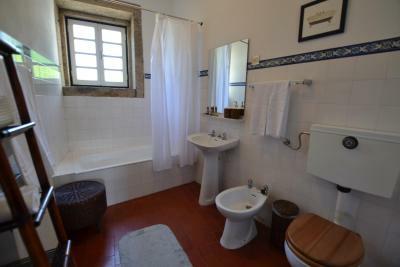 Beautiful appartment- very large rooms, kitchen, living, all traditional style like the villa itself. The owner was very kind, lots of interesting tips and advices. Breakfast was great - served in the villa in one of the amazing rooms. Historic setting everywhere. The swimming pool was excellent with a marvelous view. Beautiful mansion with splendid view over the valley. Lovely breakfast in stylish room. Tristao was a very friendly host who gave us some helpful advices. Beautiful 18th century baroque style manor house on a splendid location; comfortable nice furnished rooms; great hospitality; the owner can give very good recommendations for local restaurants. Tristan was very friendly, approachable and resolved any questions/comments we had. The view from the pool area is wonderful. Breakfast was good if a bit repetitive after 11 days. You need a car. Local extremamente simpático para uma estadia no campo! Boa localização, vista deslumbrante e fomos muito bem recebidos! La casa es un lugar maravilloso, una casa preciosa en un paraje de ensueño. Las visitas son de foto! El propietario del alojamiento, magnífica persona. El personal muy atento en todo momento. Das Frühstück war sehr gut. Ein kleines, aber leckeres Buffet und täglich frisch gepresster Orangensaft aus eigenem Anbau. Die Angestellte, die das Frühstück organisiert, und die Zimmer reinigt, war ebenfalls super nett. Besonders hervorzuheben der sehr angenehme Eigentümer Tristão, sehr hilfsbereit und flexibel, spricht mehrere Sprachen, also kein Problem bei der Verständigung. Die Ausstattung sehr stilvoll im Landhausstil. Alles sehr sauber und gepflegt. Sehr schöner Pool und Spielzimmer mit Billard. Ein sehr wunderschönes Haus mit sehr nettem und hilfsbereiten Personal und Gastgeber! Jederzeit wieder sehr gern! 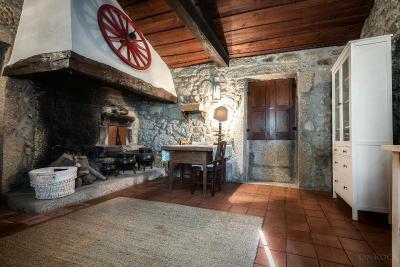 Nestled amongst the mountains of Fascha, Casa das Torres offers rooms in an 18th century baroque style house. There is an outdoor pool, sun terrace and landscaped gardens. 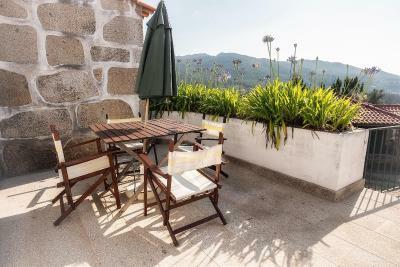 Ponte de Lima is a 10-minute drive away. 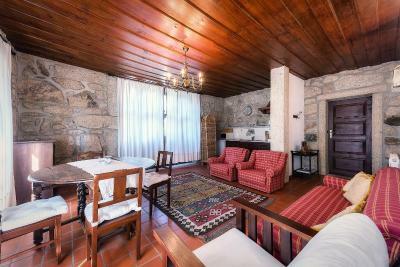 The rooms at Casa das Torres da Facha feature antique-style wooden furnishing. Each has a modern en suite bathroom with a combined bath and shower. Some rooms have stone walls. A buffet breakfast is served daily in traditional-style dining room. Several restaurants serving regional and national Portuguese cuisine are within a 5-minute drive. The property has BBQ facilities. 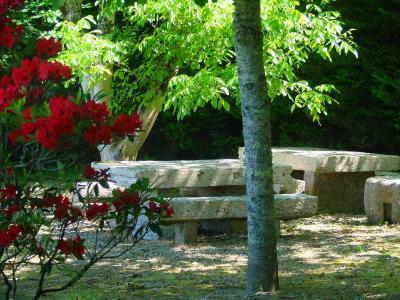 Guests can sunbathe poolside on the sun loungers or walk through the garden with outdoor seating areas and views of the Alto-Minho countryside. Indoors, there is an elegantly furnished lounge area and billiards room. Other activities include hiking and cycling. Free bike hire is available. The coastal town of Monserrate is 30-minute drive away. Free private parking is available on site. This property also has one of the best-rated locations in Facha! Guests are happier about it compared to other properties in the area. This property is also rated for the best value in Facha! Guests are getting more for their money when compared to other properties in this city. 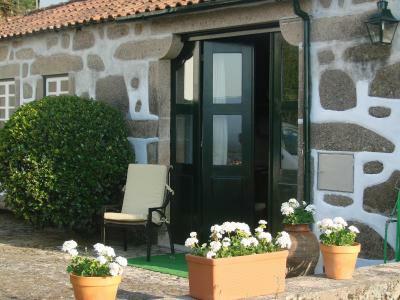 Casa das Torres da Facha has been welcoming Booking.com guests since 22 May 2012. When would you like to stay at Casa das Torres da Facha? The large rooms feature antique-style wooden furnishing. Each has a modern en suite bathroom with a combined bath and shower. Some rooms have stone walls. 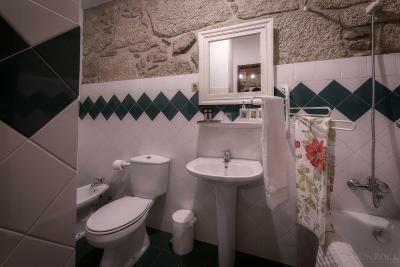 Apartment featuring 2 bedrooms with en suite bathrooms. The unit has a living room with sofa and TV, kitchenette and a view of the pool. The large rooms feature antique-style wooden furnishings. Each has an en suite bathroom with a combined bath and shower. Some rooms have stone walls. House rules Casa das Torres da Facha takes special requests - add in the next step! One child under 12 years is charged EUR 23 per person per night in an extra bed. Casa das Torres da Facha accepts these cards and reserves the right to temporarily hold an amount prior to arrival. Our cottage overlooked a very noisy house where a man mended his car all weekend with the radio on full blast. The cottage bathroom needed updating with new shower curtains etc. The wifi was not available in the majority of the guest areas. Absolutely Nothing - we where there during the week with extreme high temp. >40°C...no air conditioning, but the owner immediately brought a nice fan...all well and good sleep...the villa itself remains very cool due to the 1mtr thick walls. Not a big issue but the bathrooms in the apartment could do with an upgrade. A beautifully restored historic stately home. Rooms are very spacious and tastefully decorated in the traditional style making them most attractive and comfortable. 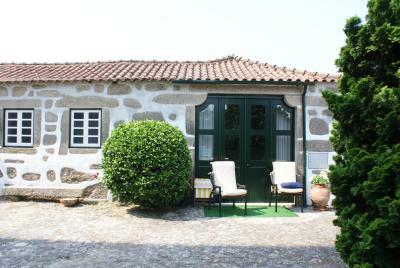 Spotlessly clean and close to the charming town of Ponte de Lima. Lovely continental breakfast in the dining room which adjoins lounge. Our host Tristan was most welcoming and shared lots of local knowledge Staying here was a real treat. We stayed in one of the apartments and whilst the kitchen facilities weren't extensive they were ok for light meals.